It’s that time of a year again when twinkling lights and festive wreaths blanket the city and holiday music rings out of car stereos. You know what that means! It means we have a variety of festive items to brighten your celebrations. For our holiday merchandise, we have our “Over the River and to the Woods” series which you will find on the shelves marked with a vibrant red and white design. 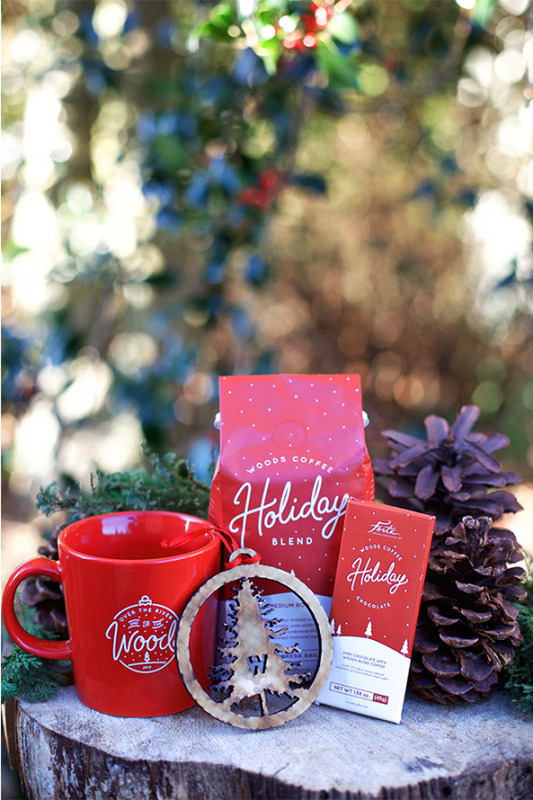 It includes a cheery, red Over the River Mug and our medium roast Holiday Blend, as well as our new items making an appearance for the first time this year; a wooden Christmas ornament and our first coffee infused chocolate bar. For the first time in the history of Woods Coffee, we have combined our Woods Blend roast with a decadently smooth dark chocolate to create a magically rich combination. Visit your favorite Woods location and keep an eye out for the delicious treat. We’ve also released a clean matte black Midnight Bear Mug, a navy blue crewneck with an outline of Washington State on the upper back, and our new Heritage Cap marked with a classy leather Woods Coffee logo. Gift cards always make their way around during the holidays, so why not accompany the gift card with a beautifully crafted letterpress card? 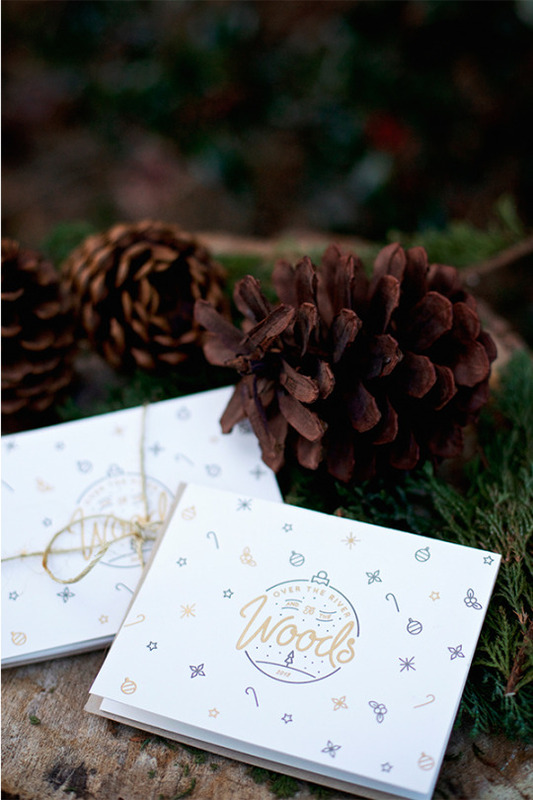 As another Woods first, we released these special cards to be sold with our Woods Cards as the perfect holiday duo. The cards are also locally printed on cotton paper, using vegetable-based ink. Be sure to make your way to any of our Woods Coffee locations this holiday season to get a first-hand look at all of our new items before they’re gone. There’s sure to be something for everyone on your list!